Got a muddy football kit to deal with, or an ugly food stain down your finest work shirt? 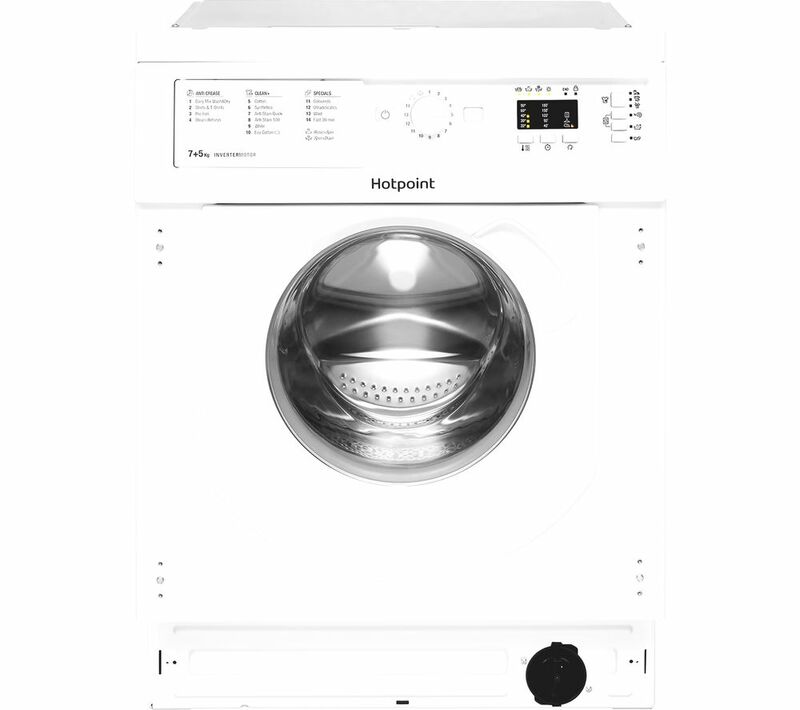 Get them all clean again with the Hotpoint BI WDHL 7128 UK Integrated 7 kg Washer Dryer. No need to spend time scrubbing at your fabrics, this Washer Dryer has Anti-Stain technology that can remove 100 of the most common stains at only 40°C. Plus, the Anti-Stain Quick cycle removes 40 of the most common stains in only 45 minutes - great when you need to get a stain out for your meeting the next morning. Wash and care for your woollens at home with the special Wool programme. This Woolmark approved cycle is a great way to keep your favourite sweater nice and soft without needing to hand wash it. Whether it's dust, pollen, or pets that set you off, the Anti-Allergy programme eliminates 99.9% of major allergens on your clothes, so you can breathe easy again. The BI WDHL 7128 Washer Dryer measures the moisture inside the drum and stops the cycle once the clothes are dry enough, so no water or electricity goes to waste. Whether you need them slightly damp for an easy iron, or perfectly dry and ready to wear, you can set exactly how dry you want your clothes to be.